What is the Quantum Energy Generator (QEG)? The Quantum Energy Generator (QEG) is an opensourced, fuel-less generator prototype based on a public domain patented invention of Nikola Tesla. The type of energy that is utilized by the QEG design is different than that of a conventional generator. QEG teams are in the final stages of co-development worldwide (working together or separately to optimize the prototype) and once complete, the generator is designed to be highly efficient and power your home. The QEG free energy generator plans were first opensourced in March of 2014 by the Fix the World Organization. Today there are over 100 QEG’s being built in over 40 countries by DIY engineers in a unique environment of co-development and collaboration. The Quantum Energy Generator system (QEG) is an adaptation of one of Nikola Tesla’s many patented electrical generator / dynamo / alternator designs. The particular patent referenced is No. 511,916, titled simply “Electric Generator”, and dated January 2, 1894 (see back of this manual). The adaptation is a conversion from a linear generating system with a reciprocating rod whose period is electrically regulated, to a rotary generating system. The reciprocating rod is replaced by a rotor whose motion is also electrically regulated, by means of tuned parametric resonance (parametric oscillation). The original intent of the patent (electrical regulation of the period (frequency) of a repetitive mechanical motion) is further expanded through subsequent utilization and application of mechanical self‐resonance and radiant energy, in order to make the machine self‐sustaining. The QEG prototype is scaled to produce electrical power in the range of 10‐15 kW (kilowatts) continuously, with no conventional fuel or input whatsoever, and can be set up to provide either 120 Volt or 230‐240 Volt, 50‐60Hz single phase AC output. We are also planning future designs to provide 3‐phase power. Service life of the device is limited only by certain replaceable components, such as bearings, v‐belts, and capacitors. The basic machine should operate trouble‐free (with minimal maintenance) for as long as any good quality electro‐mechanical appliance, such as a quality washing machine or refrigerator. Heavy‐duty mechanical components are used throughout for reliability. The QEG is not a complicated device, as it is designed (like Tesla’s other ‘discoveries’) to work in harmony with nature’s laws, rather than the power wasting closed‐system symmetric motor and generator designs used in today’s mainstream industry. An effective way to understand the operating principle of the QEG is to think of it as a self‐powered toroidal transformer with high‐voltage primary, and low voltage secondary. The primary high voltage is self‐generated through mechanically pumped parametric resonance. The resonance occurs as a function of the spinning rotor modulating the reluctance/inductance in the primary tank circuit windings. This modulation initiates an oscillation which can develop up to 20,000 volts (20kV) or more in amplitude, with frequency determined by the tank capacitor value and inductance value in the primary windings. Power is then transferred to the secondary windings during the intervals where the rotor is between pole pieces (unaligned). In today’s alternative energy terminology, it would be called a type of resonance machine. The circuitry that develops high power in this device is based on an existing but under‐utilized power oscillator configuration, with performance enhanced by driving the core steel into resonance. The ‘quantum’ part of the design utilizes the insertion of radiant energy into the generator core to support additional power output. The resultant power output is a combination of radiant and conventional electricity which, depending on tuning, can drive standard loads equivalent to a conventional 10 to 15kW generator (300‐350 Volts, at up 30 Amps or more). Due to the Lenz effect, conventional alternators (AC generators) consume much more input power than the output power they provide. For example, one brand of power take off (PTO) alternator uses 18,000 watts (24 horsepower) to develop 13,000 watts of output power. In the QEG, input power is used only to maintain resonance in the core, which uses a fraction of the output power (under 1000 watts to produce 10,000 watts), and once development is completed, the QEG will provide this power to its own 1 horsepower motor. This is known as over‐unity, or COP over 1 (Coefficient of Performance). Once the machine is up and running at the resonant frequency, it will power itself (self‐sustaining). The QEG is not a scam. The QEG is an open sourced project that is in co-development with various teams of people around the world. It is based on technology that was invented by Nikola Tesla and suppressed for 130 years. Many engineers see the electrical potential of this different form of energy production and are eager to experiment and learn. There are over 100 QEG’s that are actually physically being built in over 40 countries. Some of the people who are building QEGs come from backgrounds such as NASA, Lockheed Martin, Los Alamos Laboratories and the United Nations. The nature of the QEG project makes it one of the biggest threats to the oil industry. Because of this, we receive more controlled opposition, and suppression attacks than any other free energy device on the planet. Suppression of new forms of energy production is very real and has a long dark history. 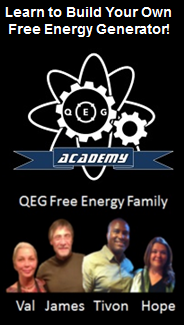 Energy companies and government agencies have employed people to create websites and rumors that the QEG is a scam in an effort to control public opinion to believe that such technology is not real so that we will all keep paying our utility bills for a 600 trillion dollar industry. These statements are not just opinions, they are based in facts with mountains of evidence to support them. Please read our full report: “What you need to know about Internet Trolls and Free Energy Debunkers” for more details. 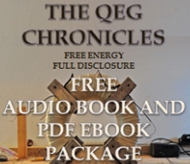 The QEG is a grassroots project that is being carried out by average people and engineers who are trying to help further the technological advancement of our human condition, and free us from the control of the energy industry. Does the QEG Violate the Laws of Physics? The QEG is an asymmetrical open system that operates according to the laws of nature. It does not violate the physical laws of thermodynamics as these only apply to a closed symmetrical system. Principles of asymmetrical open systems have been traditionally omitted from higher educational learning programs. 1)Asymmetrical system – an ‘open’ system that allows the creation of a series of exchange of energy reaction to our inputs, based on electromagnetic resonance or electromagnetic feedback in every spin (on a motor), or in every pulse of input in a static coil. One of the first asymmetrical motors was Faraday’s ‘Unipolar Motor,’ later modified by Nikola Tesla. These systems generate their own energy and do not require fossil fuels. How Much Power Will a QEG Produce? The QEG is a prototype, which means it is still in development and we cannot definitively answer the question “how much does a QEG cost?” There is not yet a fixed price for a finished product. Any skilled engineer can use the free open sourced QEG manual to source all the different components from various suppliers around the world. To help answer this question, we can provide the cost data that we have experienced through building 6 QEG’s in different locations. To build a QEG you’ll need to purchase all the parts, have a workspace to build, and have a variety of mechanical tools for testing and measuring. The cost for the space and the tools may vary. A list of helpful tools has been provided in the QEG course documents. We spent between $6,000- $8,000 just for the parts for each QEG we built. This does not include shipping, tools or other project expenses. We estimate that with further co-development this cost can be significantly reduced and are already seeing this to be the case. For example, Torelco, our supplier in the US, now offers a kit which has made it convenient and cost effective for many builders ($3200). This does not include the core and does not include shipping but Torelco will ship anywhere in the world. You can have a company make your core for you and wind it yourself. Your costs will vary. Torelco, our supplier in the US, offers a fully processed core. As of June 2016, the price for a Torelco Core is $3,095 (epoxied) or $2,945 (non-epoxied). This does not include shipping but Torelco will ship anywhere in the world. 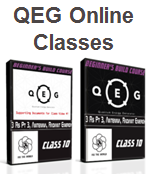 You cannot buy a ready made QEG from a supplier yet, you will need to build one yourself or hire someone to build one for you. You can use the manual to source the parts yourself or you can purchase the core and kit from Torelco. The FTW organization does not sell QEG’s, we build prototypes and teach others how to build through educational materials. Torelco offers a fully processed core and supplemental kit to complete your QEG generator, or you can buy parts separately. 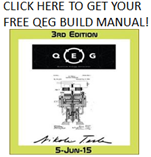 Please refer to the QEG Build Manual for detailed descriptions and photos of parts listed. 1) Patents: the US Patent office confiscates them and forbids the inventor to invent. 3) Greed: promises of great financial wealth are made (and usually never fulfilled) to manipulate the inventors, keep a device secret and under ownership, and therefore easy to control and suppress. 4) Governmental laws in “police state” countries. In some countries, the governments are attempting to make it illegal for individuals to create their own power. Laws, codes, fines and regulations around this subject are found predominantly in the “Five Eyes Countries”: USA, UK, Canada, Australia, New Zealand. 1) Open source: No patents, as this device is based on a patent that is in the public domain. Therefore there is no ownership and anyone with the skills can build one without copyright infringement or patent confiscation. 3) Crowdfunding: 1,212 people have contributed to help pay for the expenses of the QEG project. This eliminates the risk, and ability to control by any single funding entity. 4) Grassroots: We have implemented the QEG on a grassroots level with individuals around the world. Social media and the internet works fast, governments do not. 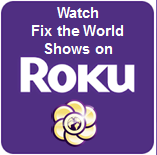 This way people have direct access to this technology and this project which minimizes governmental interference. Can I come to your house to see your QEG or can you tell me where I can see one? Due to the nature of the project, it was compulsory for the QEG family to live and work under continuous public pressure. This is no longer the case and the family is catching up on some much needed rest and healing. We will continue to post in the QEG Academy forums, and the engineers will be available for online consultations, but we will not be making unnecessary public appearances or opening our private home/workshops to the public. Of course, we are only speaking for ourselves. We’re sure other builders will be happy to invite genuinely interested people to their workshops, and this is what the QEG Connector is for: get connected to builders in your area!